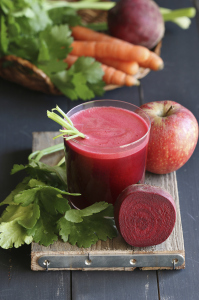 Beetroot, Carrot and Ginger Juice: A sure-fire recipe for wellness! Home/Beetroot, Carrot and Ginger Juice: A sure-fire recipe for wellness! If you’re the kind of person who likes to do healthy recipes, then you’re going to love this post! I saw David Wolfe, the famous raw food guru, speak a couple of weeks ago – which was great, I have to say – and if you’re interesting in what I learnt at the event, ie some of David’s latest insights, then head over to 5 Things i learnt from David Wolfe. 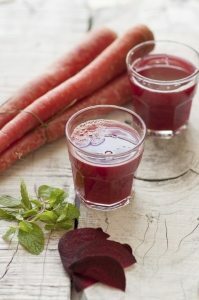 However, of you’re looking for a superdooper drink to energise you and help you operate at peak peformance (perhaps i am over-selling this), then one of the really important takeaways from David’s talk was on the nutritional benefits of beetroot, a vegetable that has not been at the top of my favourite vegetable list..ever! However, David’s talk convinced me of the value of beetroots (or Beets if you’re in the US) and, even though cooked beetroot on a salad isn’t my thing, I have become a master of making raw beetroot juice, which I have now been drinking daily, love it and feel amazing, but that’s not necessarily just down to the beetroot juice (although I’m sure it has contributed significantly). 2. Add a pinch of ginger. 3. Drink slowly and savour how the flavours come together. 4. Feel great and go enjoy your day!